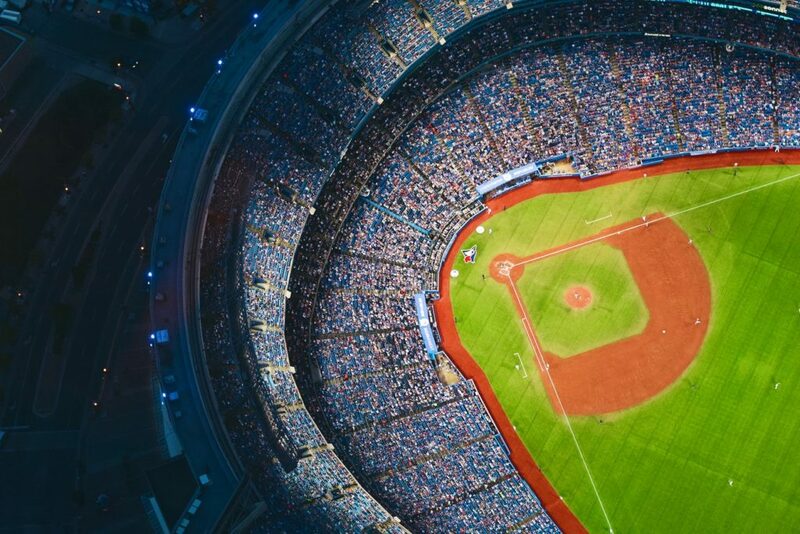 Now that the 2018 Super Bowl is over, sports fans everywhere will turn their attention from football to baseball. Like the Super Bowl and the NFL in general, you don’t need a cable subscription to watch your favorite MLB team play. Each year, more and more people disable their cable and turn to streaming services to get their content for a fraction of the price. As the popularity of cord cutting increases, so does the availability to watch your team without cable. Most MLB teams are available through more than one streaming service. This means that you not only get to watch the MLB without cable, you also have options for how to watch it. This guide will explain all the options including their price, benefits, and pain points (if any!) for each service. What channel is your MLB team on? What streaming services can watch MLB without cable? The first step to figuring out which service you can follow your team on is to know which channel the games play on. Use the chart below to find your team and determine what channel you’ll need. We’ll explain each of the channels and their typical schedules in the next section. If the “Available on streaming services” column has a “No” in it, the only way to stream the games is from MLB.tv. Note: This table was created on 1/28/18 and may not be 100% accurate at the time of viewing. If you notice any discrepancies or errors with our table, please visit our contact page and tell us about them. We try and keep the information on this site as updated as possible, but with so many channels based on location, it’s possible we missed something. Both ESPN and ESPN 2 play somewhere between three and five games a week. The games include regional and national broadcasts on Mondays and Wednesday nights as well as a Sunday night national broadcast at 8 pm EST. The ESPN channels also play extra games on holidays including the Fourth of July, Labor Day, Memorial Day, and other important non-holiday days throughout the season like Opening Day. FOX Sports plays games on Saturdays. They also play them simultaneously throughout their regional networks. There are 2-3 games playing at the same time. FOX Sports 1 (FS1) plays games on Tuesdays, Thursdays, Saturdays and sometimes Wednesdays. These nights are typically national broadcasts and only include one game. The MLB network plays games on Tuesdays through Sundays and typically airs 8-10 games a week. Some of these games are native to the MLB Network and have the MLB casters, but are usually simulcasts of a team’s local broadcast. MLB teams have their games broadcast on their local sports channels known as Regional Sports Networks (RSNs). Not every RSN is available on streaming services and is why there are some “NOs” in the “Available without cable” column in our table above. The major RSNs are Comcast, FOX Sports, and AT&T (previously known as ROOT channels). There are also smaller RSNs owned by other companies or sometimes by the teams themselves. One issue with the major RSNs is that there may be scheduling conflicts between sports. For example, FOX might normally air an MLB game, but may choose to air a more important hockey game instead. With the rise of cord cutting, many networks are starting to allow access to their content online. They have started offering apps or websites that you can use if you are a verified subscriber of a service that supports that channel. For example, you can watch all of ESPN’s content through WATCHESPN if you pay for a service like Sling TV, or YouTube TV. You can watch the MLB Network through MLB At-Bat and Comcast SportsNet regional sports networks through NBC Sports. Most networks have a TV Everywhere app and the major streaming services allow you to log into them as if you had cable. Hulu, along with Netflix, is one of the most well known streaming services. Although they have had huge success in the on-demand market, Hulu has recently started offering live TV in addition to its current library. The service is cleverly named Hulu with Live TV. As the name would imply, can watch your favorite cable channels through Hulu with Live TV rather than with a cable subscription. All you need is an internet connection and a way to display the content on your TV (more on this later). You can add the live channels to an existing Hulu account for $32 a month or get it (and access to Hulu’s on-demand library) for $39.99 a month. For baseball fans, Hulu is one of the cheapest options that gives you access to most of the MLB channels. With it, you’ll get access to ESPN, ESPN 2, FOX (location based), FOX Sports 1, TBS, and Comcast SportsNet regional sports networks. The image below shows the current channel line up available at our Boston office. Make sure to check out Hulu’s current channel lineup to confirm channel availability at your location. 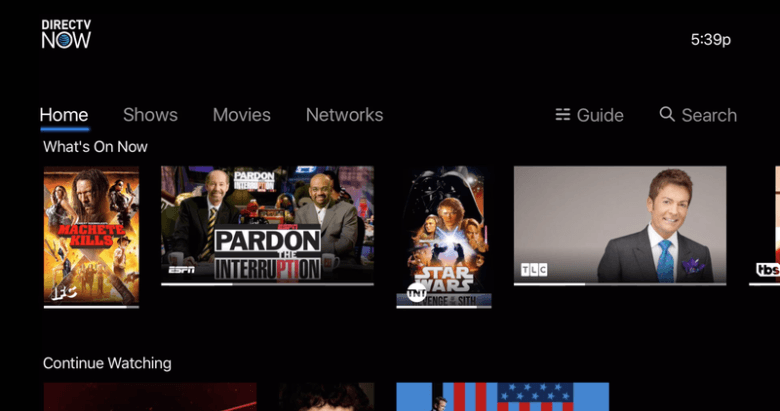 In addition to these channels, subscribing to Hulu with Live TV will also give you access to their massive on-demand library. It will let you watch your favorite shows as they air as well as binge watching previous seasons or entire shows. You can even pay an extra $4 a month and remove commercials from the on demand content entirely! Being such a major streaming service also has it’s benefits. Since the company can already support the massive demand put on its service, you won’t have to worry about stream reliability. Its popularity also means that it’s available on most streaming devices. This opens up the options for choosing a device that better fits your budget and usage. 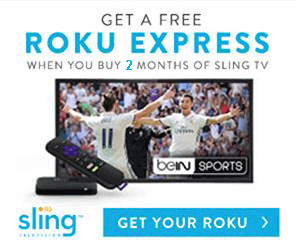 Sling TV is the streaming service that is as close to al la carte as you can get. Rather than offer large packages with a lot of different channels, Sling TV takes a more minimalist approach. It’s main packages, Orange and Blue, are $20 and $25 a month respectively. These packages don’t include as many channels as lot of other services, but the ones they do include are incredibly popular. For MLB fans, ESPN and ESPN 2 are available through the Orange, the smaller of the two, while FOX (location based), FOX Sports 1, FOX Sports Regional Networks, and Comcast SportsNet are available require an upgrade to Sling Blue. If you’re interested in the channels for both packages, you can save some money by combining them. Ordering the two packages together will bring your monthly bill to $40 instead of $45 if you add them separably. However, the packages do contain a lot of other non-MLB channels that you’ll also receive. Sling’s small packages are intended to give the user a lot of freedom for the content they are paying for. By keeping the two core packages hyper focused and cheap, Sling gives its users flexibility to pay for small add-on packages that customize the service. These packages include premium channels like HBO or Showtime, kids channels like Disney XD, or even a World of Sports add-on to get more sports networks. To see the full channel list for each package as well as the add-on packages check out our full Sling TV Guide. Sling TV is almost as popular as Hulu (more-so for live TV) and has a lot of the same benefits that come with being a major player. They’re available on almost every streaming device and even offer a lot of them for free with some months of pre-paying the service. 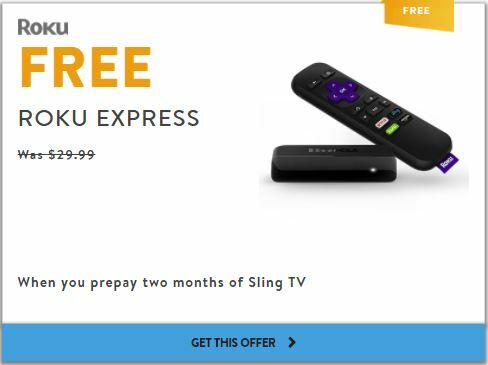 The image above shows how to get a free Roku Express with two months of Sling, but that’s not their only offer. If you click the image above, or follow this link, you’ll see all of Sling’s deals and can choose the best one for you. While Sling TV might end up $5 per month more expensive than Hulu, it has its benefits. The customization that comes with the smaller packages means you can finally feel like you’re in control of what you’re paying for. You can look at individual channels and see that the Outdoor Network will cost $5 a month extra before you determine if it’s worth it. No one can tell you what a channel is worth to you and it’s about time you can make the decision for yourself. Contrary to what the name may have you believe, PlayStation Vue is not restricted to viewing with a PlayStation. It was initially only available on the PlayStation, but quickly expanded to be usable with most streaming devices. PlayStation Vue divided into four major packages that range from $39.99 to $74.99 a month. The cheapest option, the Access package, gives you access to ESPN, ESPN 2, FOX (location based), and FOX Sports 1. Their Core package costs an extra $5 a month but gets you a few other MLB channels. These extra channels include FOX Sport’s regional sports networks, any applicable Comcast SportsNet regional sports network, and MLB Network. Upgrading to the bigger Elite or Ultra packages doesn’t give you access to any more MLB channels, but does expand the channel line up. Each tier adds almost 20 extra channels than the last. We’ve reviewed PlayStation Vue and find ourselves recommending it more and more. PlayStation Vue is a great streaming service that is a soft transition from the cable life. Its large channel packages offer a similar feel to cable without paying cable prices. It’s less customizable than something like Sling TV, but has one of the better streaming qualities of the services. Unlike Sling TV, PlayStation Vue’s ability to view Regional Sports Networks is location restricted. This means you can view the network while you’re in your home city, but not outside of it (on vacation or something). There are plenty of workarounds for this such as VPNs, but it’s not quite as easy as plug-and-go. DirecTV Now is another streaming service that we frequently recommend. Like PlayStation Vue, it has 4 packages to choose from. It’s smallest package, Live a Little, costs $35 and includes ESPN, ESPN 2, FOX (location based), and FOX Sports 1. Upgrading to Just Right for $50 a month will add the MLB Network as well as both FOX Sports and Comcast SportsNet regional networks. Their Go Big and Gotta Have It packages are $60 and $70 a month and add a whole slew of additional channels. DirecTV Now has one of the best channels/dollar ratios out of all the streaming services. Their Live a Little package is an extremely popular choice due to it’s cost and quality of cable channels. The biggest issue with DirecTV Now is that they don’t offer a DVR. There has been rumors that there will be an announcement for a DVR feature early this year, but we haven’t heard anything yet. It doesn’t have any location restrictions, but doesn’t provide as much TV Everywhere access that some of the alternatives do. MLB.TV is a streaming service offered by MLB aimed at people who want to watch out-of-market teams. If you’re a huge Red Sox fan that relocated to Seattle, you might be interested in following your “home” team’s games. MLB.TV costs $112.99 a year, but can also be paid for on a monthly basis for $24.99 a month. Last year, T-mobile offered MLB.TV to its subscribers for free. If they offer that again, we’ll make sure to include it in this article and add a link to it. The $112.99 price is for access to ALL out of market teams. If you’re a die-hard fan of one team that isn’t in your market and want a cheaper option, MLB.TV offers a “Single Team” package for $87.99 a year. However, with the “Single Team” package you are subjected to blackouts if your team is playing against a team that is in-market for your location. To avoid this, you can add the “Follow Your Team” option for $10 a year, bringing the grand total to $97.99 a year. MLB.TV also offers a free “Game of the Day” that you can watch without an MLB.TV subscription (also live streamed to Yahoo Sports). You can view these on a streaming device such as a Roku, Fire TV, etc. through the MLB.TV app for free, or watch it on the PREMIUM MLB At-Bat app, not the free version. I want to watch my local team the Houston Astros. If I read this correctly, mlb.tv will only let me watch out of town games. Right? Local teams are subject to blackout restrictions on mlb.tv. That means you won’t be able to watch your local games on it since they want you to pay for cable to get AT&T Sportsnet Southwest. However, if you use a VPN (completely legal! ), you can get around it. A VPN routes your internet through a different location so mlb.tv will think you’re streaming from somewhere else. They’re also really good for privacy and security and only cost a few bucks a month. You can check out our VPN guide for some reviews if you’re interested. So if you live in the Philly market area you should be able to get the Games without cable by subscribing to Hulu? Are there blackouts? Sadly even Hulu does get hit by blackouts. However, if you want to spend a couple extra dollars a month, you can get a VPN that will let you bypass blackouts. A VPN routes your connection through another location, changing where your signal appears to come from as well as providing extra security. You can read more about VPNs in our VPN review if you’re interested.